The St. Peter Parish Council is excited to introduce SPIN Groups: St. Peter Interest Groups! The purpose of SPIN Groups is to connect St. Peter parishioners who share similar interests and hobbies. The groups are intended to provide non-ministry, social opportunities for members of St. Peter Catholic Church. God has blessed St. Peter with an incredibly fun, talented, knowledgeable and kind group of parishioners. When we stand before Him at the end of our earthly lives we need to make sure we have fully shared of all His great gifts, and this includes the gift of fellowship and fun. So join us! Find your group or make your own. These groups are for experts and non-experts, leaders and non-leaders, males and females -- these groups are for you! If you have questions or suggestions, contact St. Peter Parish Council member Rob Hickman. 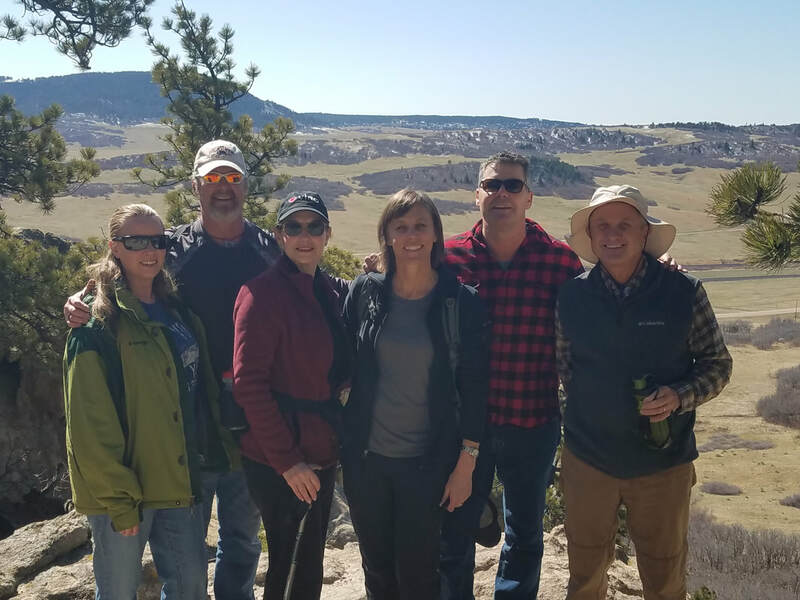 The St. Peter Hiking Group had a wonderful inaugural outing at Spruce Mountain on Sunday, April 22, 2018. The weather cooperated to give us a spectacular day to enjoy God’s creation and share fellowship with other St. Peter parishioners. For more information, contact Robin Schneider. Thank you for your interest in SPIN!